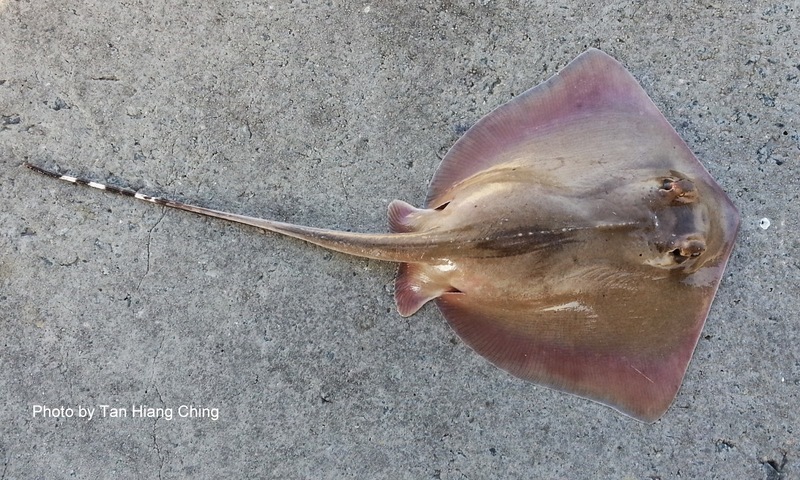 Stingrays or whiprays are the common names for the members of the Dasyatidae family. 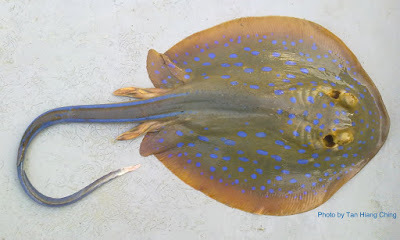 They have broad, wing-like pectoral disc, and a very long whip-like tail armed with 1 to 4 spines. Their dorsal fin totally absent or indistinct. Members of the Dasyatidae are found in the warm-temperate and tropical continental seas worldwide. There are 8 known genera and 88 species worldwide. They are mainly marine. Several species are euryhaline and ascend rivers, while some species are confined to fresh water. 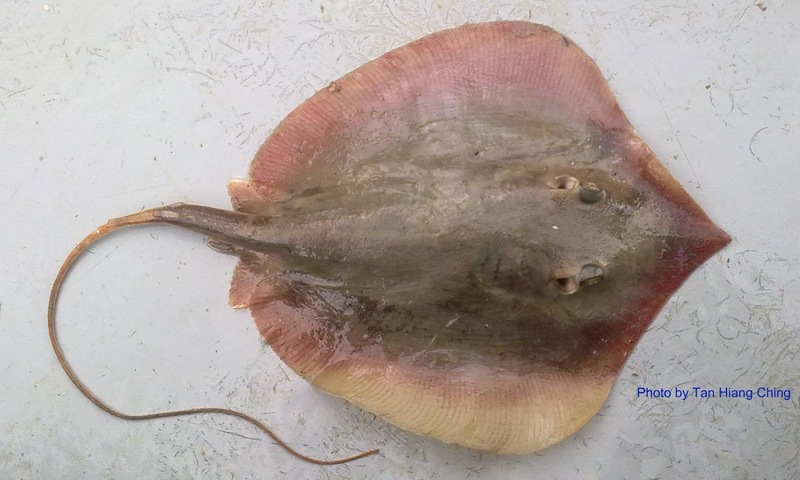 They are mostly demersal in inshore, occurring on soft bottom in estuaries, lagoons, and enclosed and open bays. Their stinging spine, which is close to the tail base, is an effective defensive weapon, causing excruciating pain in human. All species are live-bearing. They feed mostly on benthic invertebrate. Main Diagnostic Features: Snout extremely elongate, tail less than twice disc length and without marking, and disc brown and without spots. Size: Maximum disc width 29 cm. Common disc width about 18 cm. Remarks: Two very venomous spikes at the tail of this particular species that can whip upward. 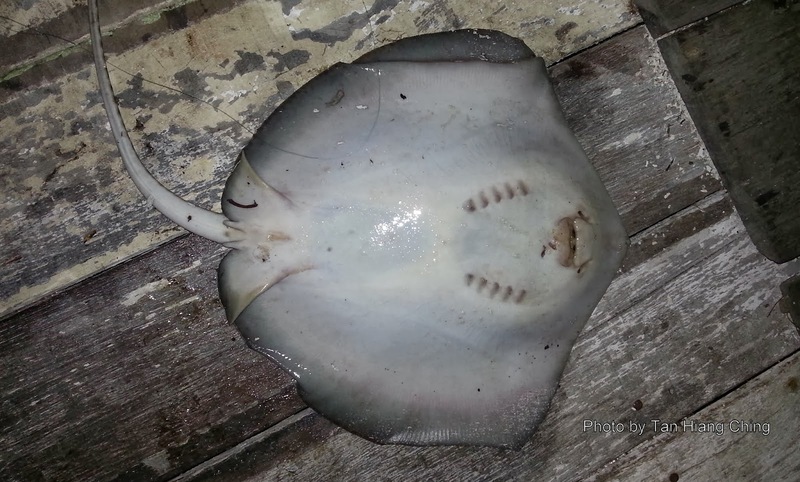 Be very careful when handling all types of ray. Main Diagnostic Features: Very long tail with alternate black and white bands, and disc without spots or network pattern. Size: Maximum total length at least 200 cm, maximum disc width 90 cm or more. 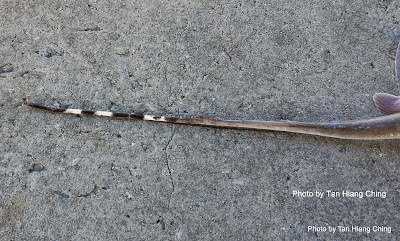 Remarks: Venomous spike at the tail of this particular species that can whip upward. Be very careful when handling all types of ray. 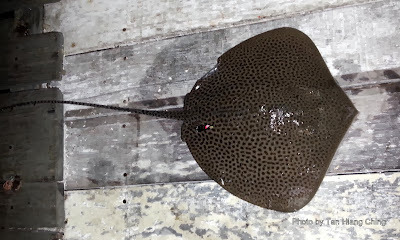 Main Diagnostic Features: Very long and slender tail, upper disc and tail with a heavy pattern of dark rings, alternating black and white bands beyond sting, and ventral surface white. Size: Maximum total length at least 450 cm, maximum disc width about 150 cm. Main Diagnostic Features: Body without marking, two serrated spines on tapered tail, black and white behind spines, and sharp pointed snout. 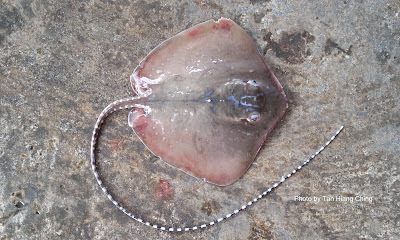 Size: Maximum total length at least 45 cm. Main Diagnostic Features: Upper disc surface brownish with blue spots, usually with blue stripe along each side of the tail, and rounded snout. Size: Maximum total length about 70 cm, maximum disc width 30 cm. 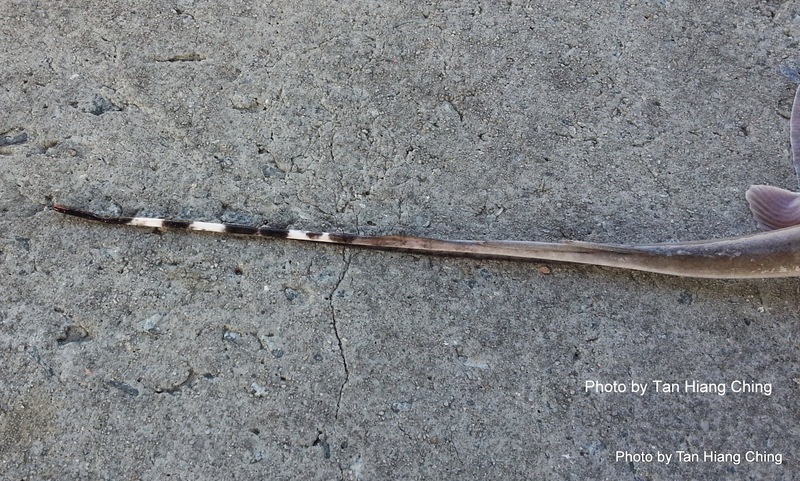 Remarks: Very venomous spike or sometimes there are two spikes at the tail that can whip upward. Be very careful when handling all types of ray.